Hang tight for NEW website! For those of you who are trying to visit our website (or anyone else who stumbles across this message while perusing SOMAfeed..) you may have (definitely) noticed something is afoot. Today we are in the process of making our new website live!!! So what might seem bad initially is actually very exciting! 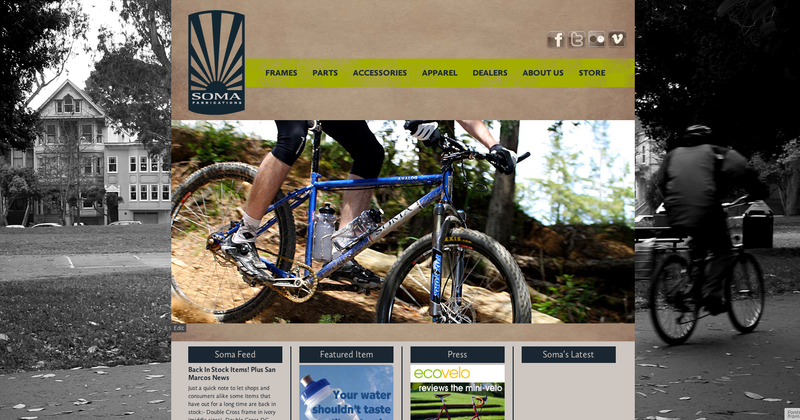 We apologize for the inconvenience, if you need information right now check out the SomaFab shop! We should be up and running very very soon so check back soon! It is definitely worth the wait! 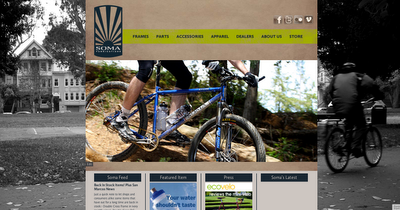 We also got in a small shipment of Soma San Marcos frame set (designed for Soma by Rivendell Bicycle Works). Most have been already shipped out to those who pre-ordered. If you are near any of the following shops, check it out. Some of these shops only picked up one frame set, so I'd advise calling the shop before visiting.... because who knows, it might be already sold and gone. 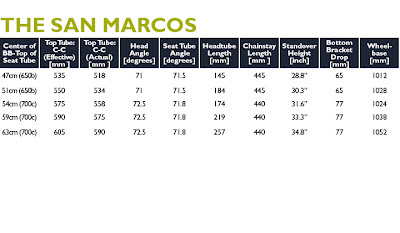 The San Marcos is not up on the website yet. (We have stopped updating the current site – instead putting our attention into speeding the launch of our new site.). But here are a couple of pictures and the geometry. Sorry, we have no more 54cm's in our distro's warehouse. Only 59cm and 63cm. More on order of course. 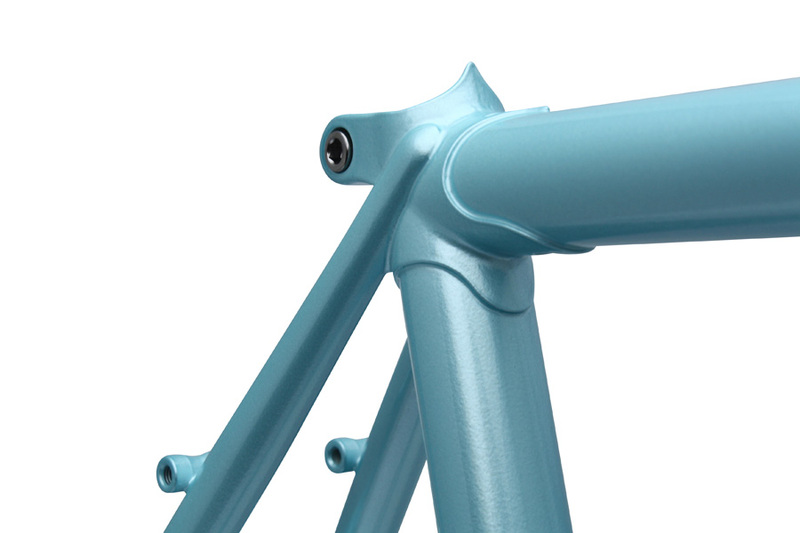 Smaller sizes: We don't have a firm ETA on those and don't want to speculate. 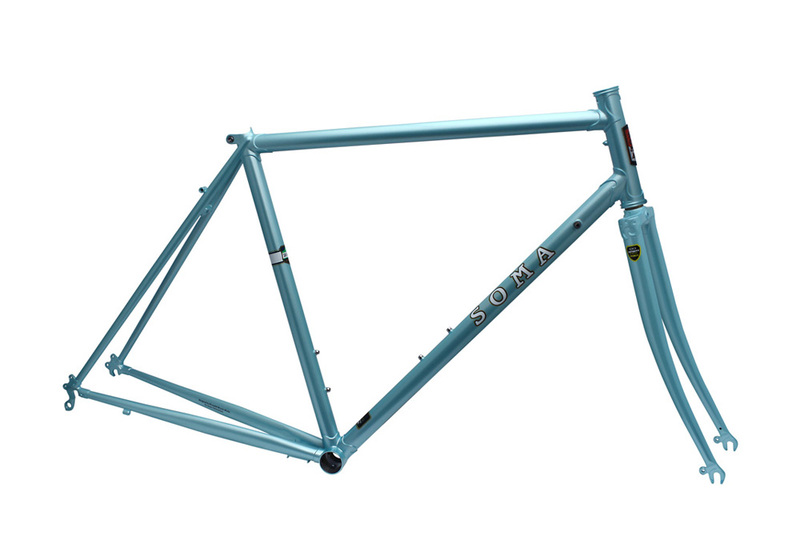 There has been lots of speculation of whether this will ride similarly to our other road sport frames (the Stanyan and ES). 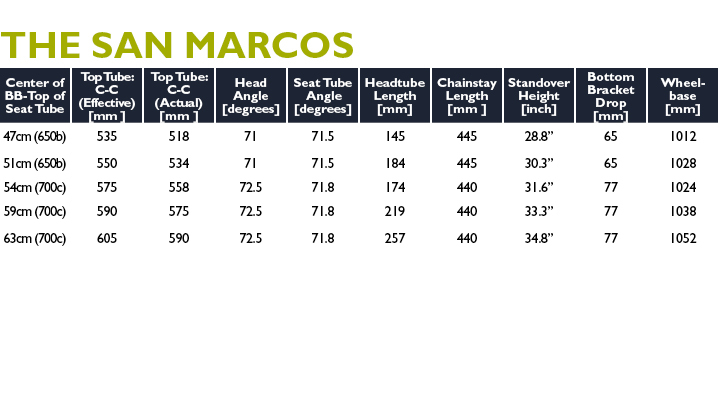 We can easily say the San Marcos is easily its own beast. Not just because it sports gorgeous Rivendell lugs, but because it is at its heart what Grant Petersen of Rivendell believes a good road bike should be: Smooth and efficient on the black top, can fit wide enough tires to give extra comfort (and take on smooth fire roads), and excellent rider position for long rides. It has rack and fender braze-ons, kickstand plate, and pump peg and a longish wheel base, but it is NOT a dedicated touring frame...call it a "sport tourer" to use an old term. More information when we are ready to launch our website.